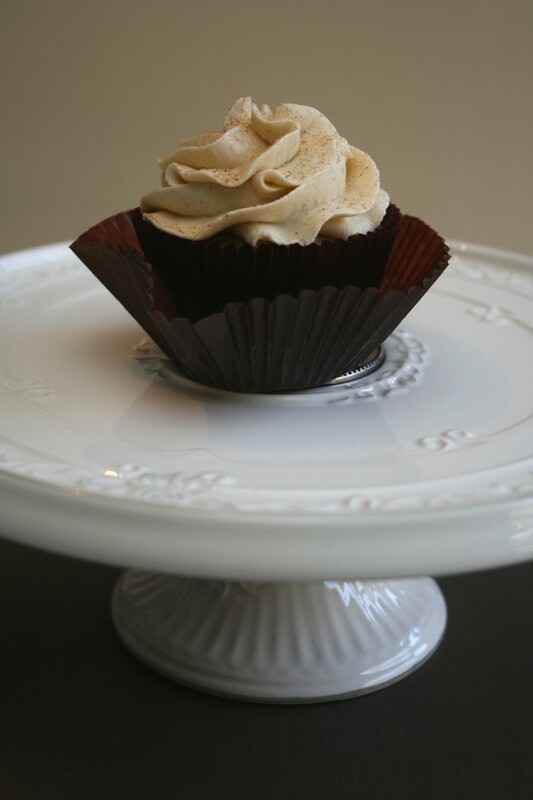 Vanilla Chai Cupcakes | Some More Please! 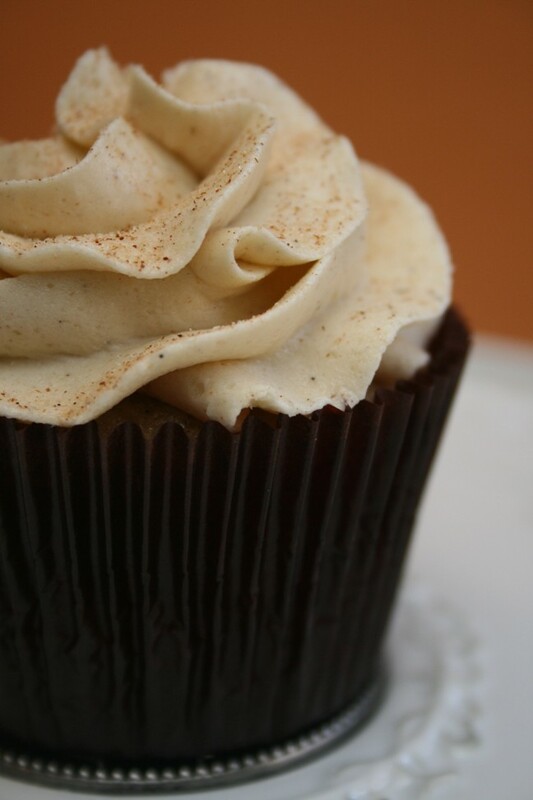 I’ve never tried a chai latte before but I do like cinnamon and these cupcakes look delicious! Would this recipe work the same as a 9-inch cake? What baking time would you recommend? Leila, thanks for your comment. I would say 9″ would be too big, my rule of thumb is that batter for 12 cupcakes is enough for a 6″ or 7″ cake, and I would double the buttercream for two layers. Baking time for a full sized would be about 30-40 minutes? That’s just a guess but I’d keep an eye on it. My mom wants me to make this haha. She loves chai tea and sweets, so I’m sure this tastes great! I’m bookmarking this recipe. Thank you for sharing this recipe. Can’t wait to try these! Love your blog! I think I just fell in love! These cupcakes look and sound like heaven in food form! I can’t wait to get my friend to make these!!! “Chai tea” sounds to you like “gelato ice cream” sounds to us Italians… Same phenomenon! 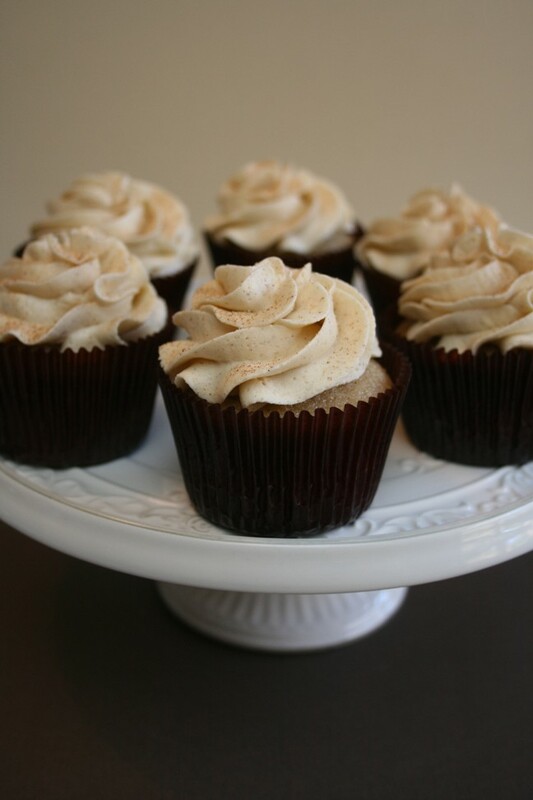 Vanilla Chai cupcakes?? How sweet would they be?? Yum, Yum, Yum!! Thanks for the recipe! hello, could you tell me what is the pipe number you used? its just gorgeous! Oh, these look wonderful. I’m looking at the recipe from a States perspective, where some of our names are different and some things aren’t easy to get. I hope this helps any other Americans that come across this! Caster sugar is a finer version of granulated sugar. You can probably get it at Williams-Sonoma or other gourmet food shop. Vanilla bean paste you can find at Williams-Sonoma. I KNOW they carry it. Bicarb soda is known in the States as baking soda, and when you see it together with vinegar in a recipe, you can substitute baking powder for them both. Now that is mouth wateringly beautiful! i can’t wait to try these. cupcakes are my one weakness. Hi..I am going to make these tomorrow and was wondering if I could adapt them to mini cupcakes and if so, how long would you recommend cooking them for? They look amazing! Thank you for any help! They can definitely be adapted into mini cupcakes – I recommend maybe 10-15 minutes but keep an eye on them. As soon as they look set just lightly press the top and when they spring back they are done. You could also insert a toothpick to check if they are done. Good luck! Oh, come down off your high pedestal about the “chai tea” thing, jesus! You really need to cool it with the contrived idea that you are so wise and learned. Your average person knows no Hindi and really doesn’t care about the redundancy. They just want their tea. And they don’t have to be a self-proclaimed, self-obsessed aficionado ritualist to enjoy it. I’m fairly sure in my little space of the interwebs I can be as self-proclaimed and self-obsessed as I like, and yep – I’m a godamn snob when it comes to food. this sounds so delicious and i want to try and make it…i’m not too good with the grams so i was wondering what exactly does the 100g of butter convert to in cups and same with the 125g of sugar. thanks for posting the recipe and hopefully you can help me with the conversion to cups if possible…thanks again in advance. sorry….me again…i noticed my little error in the conversions needed. I would use 1 stick of butter (1/2 cup) for both the cupcakes and the buttercream. thank you so much…i made these for Easter and it was a hit…and the aroma in the house was just so yummy. it tastes just like a soy chai latte from starbucks.